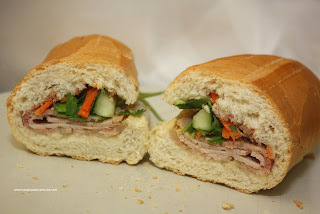 I'm sure it is not lost upon many people who read this blog regularly that I love Banh Mi. I would eat them in a boat. I would eat them with a goat. I will eat them in a rain. And in the dark. And on a train, in a car and in a tree. They are so good, so good, you see! Wait, that's Green Eggs & Ham... 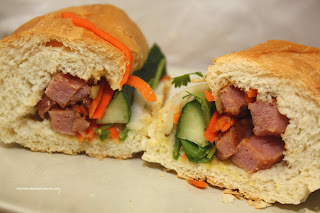 Okay, there are no green eggs in a banh mi; but certainly ham. If there were green eggs, I'm sure Fraser Health would pay them a visit. Anyways, my search for the best Banh Mi has led me to a little place called Tay Do Deli. Located on 104th near 137th, I only found out about the place on my way back from Hen Long. Since I was making a visit to The Hockey Shop nearby already, it was only natural that I tack on an eating adventure as well. After taking a slap shot to the ribs, it occurred to me that I might need a new chest protector. Too bad they cost #$)*#$)*# amount of money. $600??? Egads... I don't need any protection if I have already lost an arm and a leg from the purchase! No wonder I don't pay league fees... Fortunately, Banh Mi are not expensive. So at the very least, I can save some money for those expensive hockey gear purchases. With any Banh Mi joint, the yardstick is the Combo (or Cold Cut or Special or whatever it is called). Consisting usually of pate, Vietnamese ham and headcheese with pickled daikon/carrots, cucumber, hot pepper, cilantro, butter-mayo and fish sauce, this is probably my favourite sub. This version had a good amount of meat, discernible pate and crisp veggies. The bread was a bit denser as I would've like; but all-in-all, a decent Banh Mi. Since there were so many choices, I decided to try a few more out including the BBQ Pork. Unlike the one from Hen Long, this is not actual Chinese BBQ pork; rather, it processed pork. Typically, this is really sweet and it was the case here. Pretty good though. For my 3rd sub (yes, 3rd...), I tried the Charbroiled Pork. I would have to say this was my favourite, even more so than the Combo. Stuffed with as much meat as they could fit into the bun, this was a satisfying sub. The meat was not exactly moist; but it wasn't dry either. Lots of flavour. It went well with the pickled veggies. From the best to the least favourite was the Meatball sub. 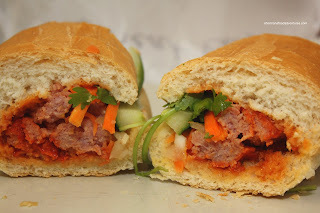 Generally, the meatballs in Banh Mi are on the softer side; yet these ones were some really mushy balls. I don't like mushy balls... Each bite was like eating pate gone wrong. Furthermore, there was not much flavour too them. Usually there are lots of onions, not in this case. In spite of the meatball sub, the rest were quite decent with a good amount of meat. Again, I would've liked an airier bread; but that is my preference. On a side note, I'll say it again, if you are slightly adventurous, skip Subway and get a Banh Mi. It's cheaper and much tastier. You might want to do some revisit of old time "usual suspects" as some of they have gone downhill... But, after my trip to Edmonton, I am not sure if this quest is worth it: theirs is better! Having been to Edmonton myself, I agree. However, once again, I live in Vancouver, so it'll have to do. And the best Banh Mi in Vancouver so far is Kim Chau in my books. 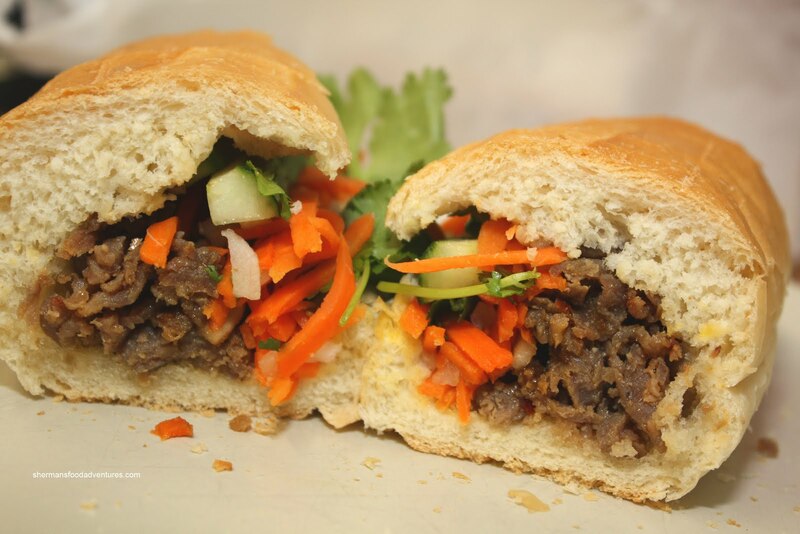 Just wondering what the places in Edmonton are for good Banh Mi? When I was there, I went to Nhon Hoa (10622 97th Street, they have another location in Whyte Ave) and Van Loc (10648 98th Street). In both cases, they were better than Vancouver's offerings. 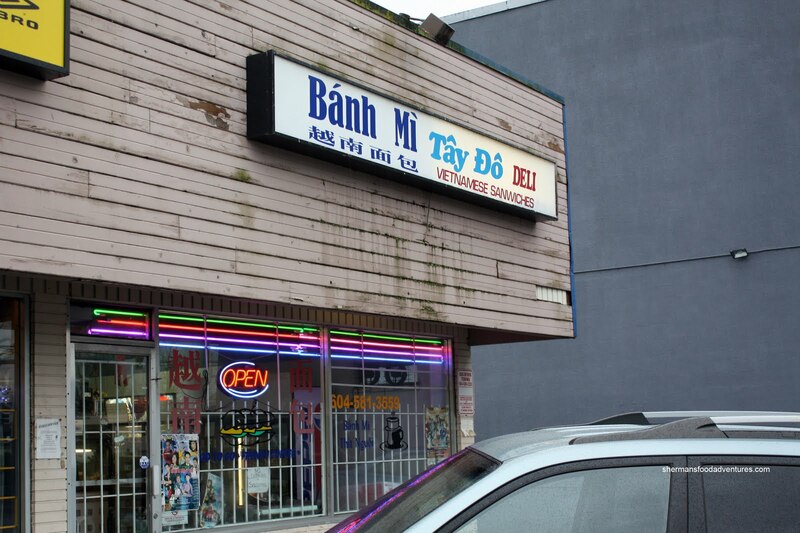 I was told of a new banh mi place in Lucky 97 but I can't confirm that.